Denise joined IDEX in October 2015 as the company’s general counsel and corporate secretary responsible for all legal, regulatory, compliance and corporate governance matters. She has focused on developing a talented, diverse, and engaged legal and compliance team to ensure that the businesses have the support necessary to win for our customers. Previously, Denise was senior vice president, general counsel, corporate secretary and chief compliance officer for SunCoke Energy, Inc. (SXC) and its controlled company, SunCoke Energy Partners, L.P. (SXCP). She played a significant role in shaping the vision and executing transactions to take these two SunCoke companies public in just two years. Under Denise’s leadership, the legal department was awarded SXC’s highest honor in connection with the SXCP formation and public offering. From 2005 to 2011, Denise was with PPG Industries, Inc., most recently as assistant general counsel, securities and finance, and corporate secretary. While there she also served as chief mergers and acquisition counsel and general counsel for the Glass and Fiber Glass Division. During her tenure at PPG, Denise was part of the leadership team that closed transactions with an aggregate value of over $2 billion and closed $2.5 billion in public bond financings. Denise began her legal career in private practice, specializing in corporate and securities law matters and corporate transactions. She was a partner at Shaw Pittman LLP in Washington, D.C., before her move to PPG. Denise received a bachelor’s degree from Marquette University and a J.D. from Georgetown University Law Center. She devotes time to organizations that prioritize the professional development and advancement of women and people of color, including The Chicago Network, where she serves on the board; The Executive Leadership Council; The Executives’ Club of Chicago; and the Georgetown Law Alumni Board. 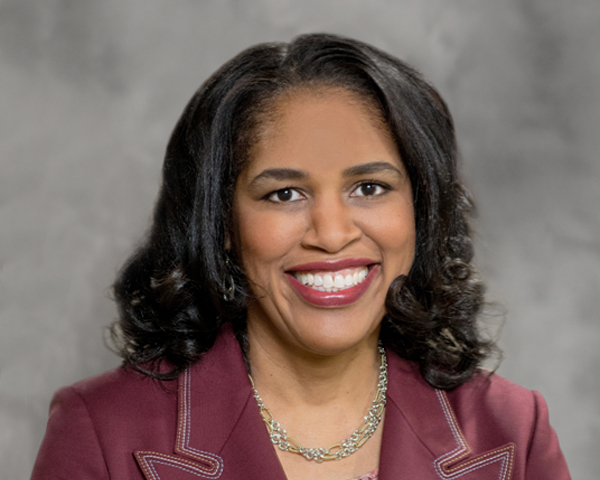 Denise was named one of the Most Powerful Women in Corporate America by Black Enterprise magazine in March 2019 and was named to the GC Powerlist by The Legal 500, which assesses the most influential in-house lawyers in business, in April 2019. Denise was honored by Savoy magazine as one of the Most Influential Black Lawyers in 2018 and 2015, and she was selected as one of Chicago United’s Business Leaders of Color for 2015. In addition, she is a recipient of the 2016 Legal Champion Award by the Illinois Diversity Council and the 2012 Breaking the Glass Ceiling Award by The Leadership Institute for Women of Color Attorneys, Inc.
Denise enjoys traveling and exploring different cultures. In addition, she is an avid football fan and is undertaking to see a game at every NFL stadium over the next few years.